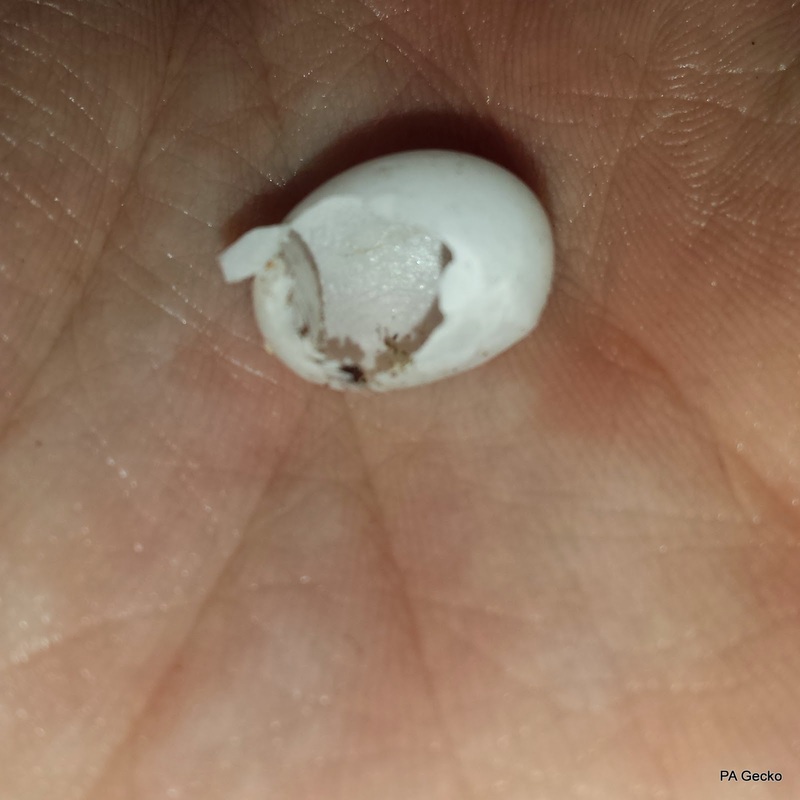 The time is finally here the first 2015 hatchling has finally emerged from its egg. The only thing is it's not what we were expecting at all, but its a good surprise! 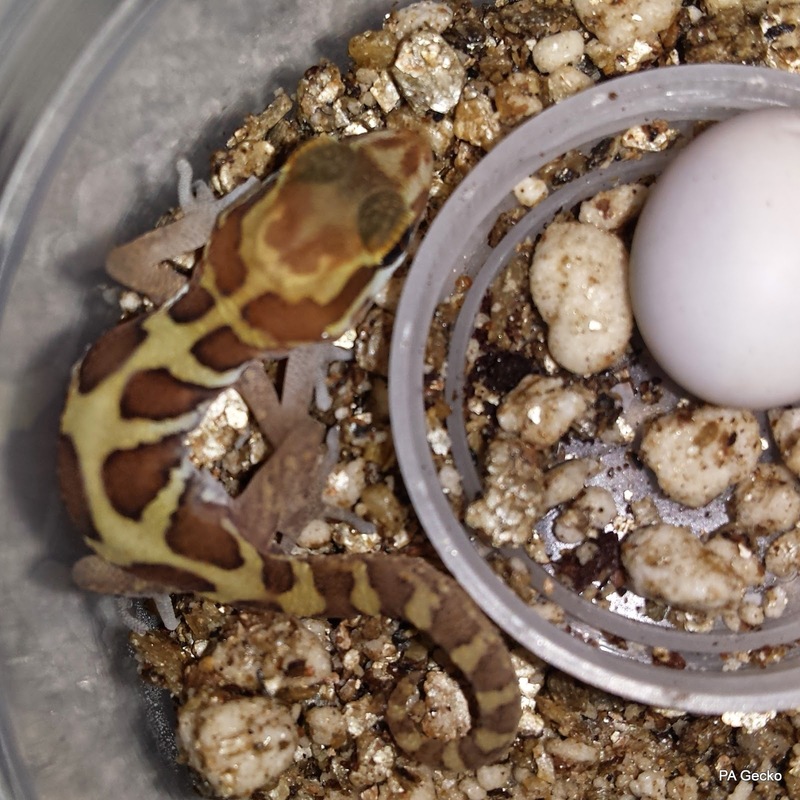 The first baby we hatched this year is a beautiful little striped Pictus gecko, we weren't expecting it for another 20 days or so but its here and looks wonderful and healthy. 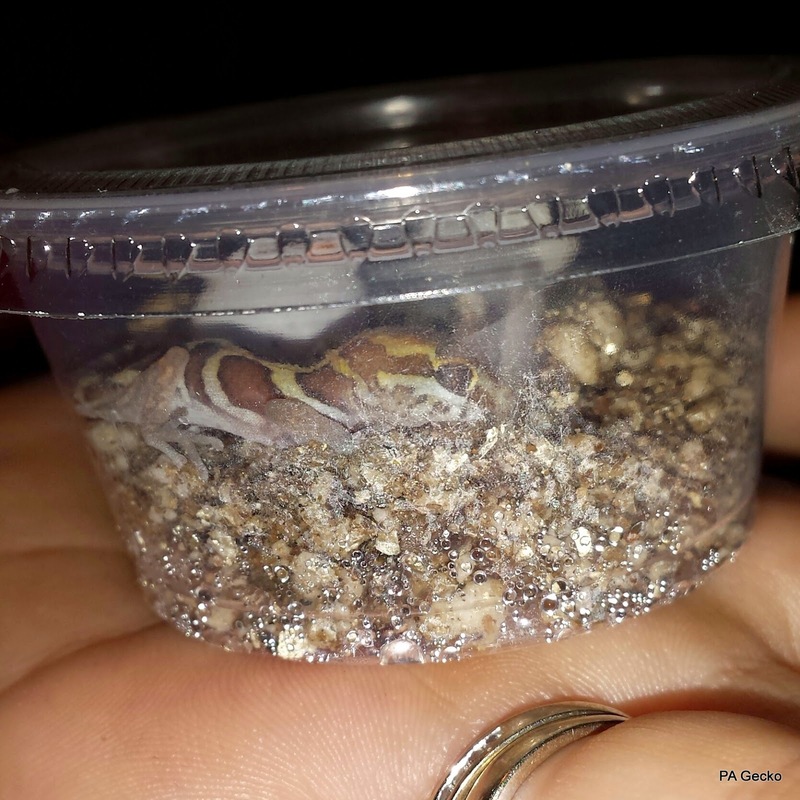 It's clutchmate should hatch very soon, we're still patiently waiting on the first leopard gecko to hatch. It should any day now!